Destination Events understands that your event is intended to be elegant. That is why we keep our equipment in excellent condition. You won’t find tattered, scuffed, and spray painted equipment at your event. 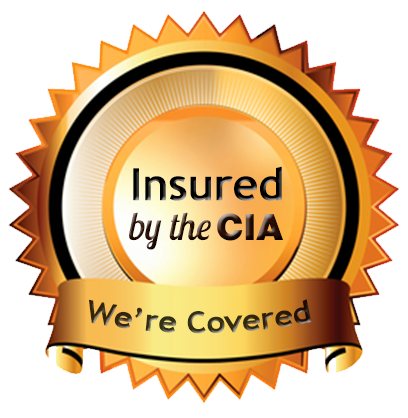 We keep our equipment presentable by carpeting everything with black or gray carpet. This keeps it from looking out of place at your event. Depending on your package, Destination Events provides your event with a lighting package. 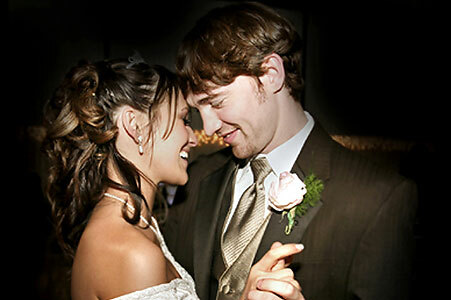 We have found that our basic lighting package is usually plenty for most wedding receptions. However if you desire a larger light show, or no lighting at all, we are happy to accommodate you. Prior to your event Destination Events will provide you with a planning packet. These worksheets are designed to help you create an event that will be enjoyed by all. Your DJ will go over the worksheet with you a few weeks before your event to ensure that they understand exactly what it is you desire. While the guests arrive we are playing a light jazz, classical, oldies and easy listening mix. Because your guests are spending this time conversing with friends and relatives, we try to keep the music low-key and our volumes unobtrusive. Usually the photographer will take the bridal party for pictures after the ceremony. After the photographer has completed his photo session, at your request, your entertainer will line the bridal party up for proper introduction at the reception hall. In most receptions, the receiving line is done at the church as the guests leave, but this can also be done in conjunction with the reception introductions. The bride, groom, and parents will line up and greet the guests as they go through the line. This is a great time to say “thank you” to all of your guests for attending your special day. The toast takes place after dinner, and is usually done by the best man. We will announce the toast several minutes before it happens to insure that all of the guests have a full glass. The Cake cutting also takes place after dinner just prior to the bride and groom’s first dance. We will coordinate with your photographer to determine the proper time to announce this event. The bride and groom select their first dance song prior to their wedding date. This song should be well thought out, and define something special about the couple. This dance can take place either after the cake cutting, or it may have taken place when the bride and groom were introduced. After the bride and groom have danced their first dance as husband and wife, they may want to dance with their parents. If they choose to include these dances, the bride will first dance with her father, and then the groom will follow by escorting his mother to the dance floor for their special dance together. Once the parent’s dance has been completed, the bride and groom may want to have the entire wedding party come to the dance floor for the wedding party dance. After the formal dances have been completed, we will invite everyone to join in on the dance floor. Your entertainer will then play a mix of music from your request catalog and your guests’ requests. Sometime during general dancing, your entertainer will ask the bride and groom to make their way to the dance floor for the Garter & Bouquet Toss. Your entertainer will first invite all of the eligible ladies out for the bouquet toss. Once we have a recipient of the bouquet, we will invite all of the eligible men out for the garter toss. Traditionally the bride and groom will have their pictures taken with the lucky bouquet and garter recipients. Your entertainer will once again begin the dancing music and play until the end of your event. Event Planning Worksheets – Click here to print our wedding planning guides. If you you book your 2015 DJ package before December 31st of this Year, will give you $50 off your package for early Booking. If You Book Your 2014 DJ package before April 30th we will give you $25 off your package. Save an additional $25 off of your DJ package when you mention that you saw us online or at one of our bridal show booths. This discount can be added to your early booking discount saving you up to $75 off of your DJ package. When you book Destination Events for both Your DJ and your photo booth, we will give you a 10% discount off your photo booth package. Save 10% OFF any event rentals when you also Book a Disc Jockey for your event. This includes tables, chairs, linens, sound systems and more.